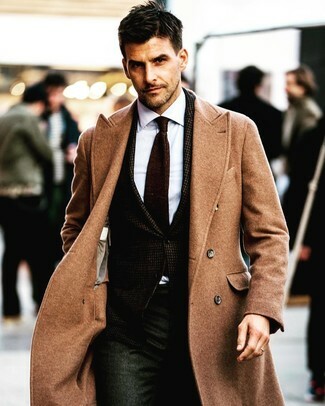 For a casually elegant look, marry a Nordstrom Signature Darien Solid Cashmere Overcoat from Nordstrom with grey chinos — these two pieces go really well together. For something more on the daring side to complete this getup, grab a pair of white leather low top sneakers. 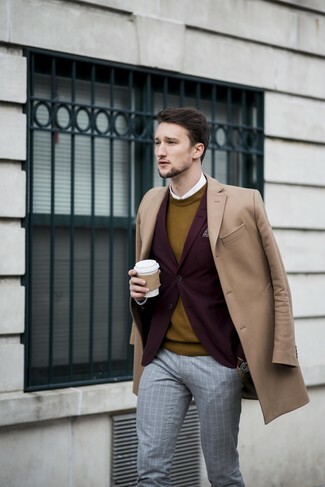 Wear a Nordstrom Signature darien solid cashmere overcoat and brown dress pants for a classic and refined silhouette. Grab a pair of white leather slip-on sneakers to make the getup more current. As you can see here, being a dapper dude doesn't take that much the place of work. 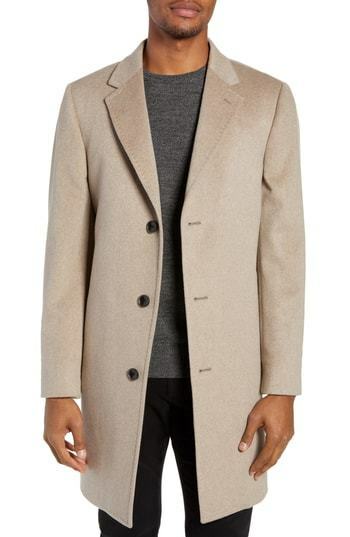 Just pair a Nordstrom Signature darien solid cashmere overcoat with navy jeans and you'll look incredibly stylish. Kick up the cool of your outfit by completing it with burgundy derby shoes. For a casually elegant look, pair a Nordstrom Signature darien solid cashmere overcoat with blue jeans — these pieces work really well together. Pair a Nordstrom Signature darien solid cashmere overcoat with grey check dress pants for a sharp, fashionable look. 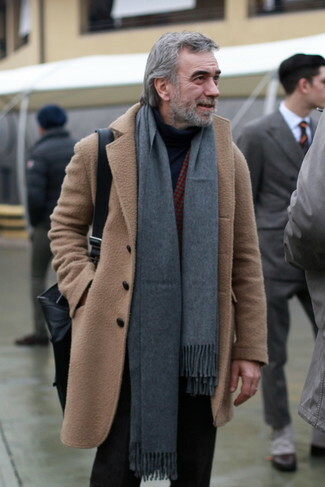 Contrary to what you might believe, outfiting sharp doesn't require that much effort. 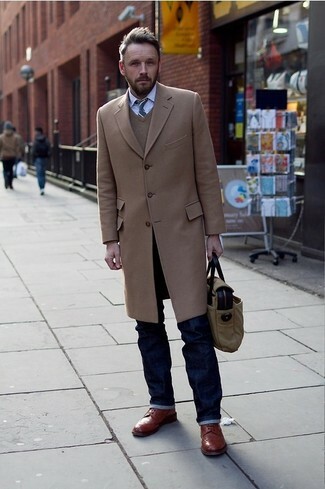 Just choose a camel overcoat and black chinos and you'll look incredibly stylish. 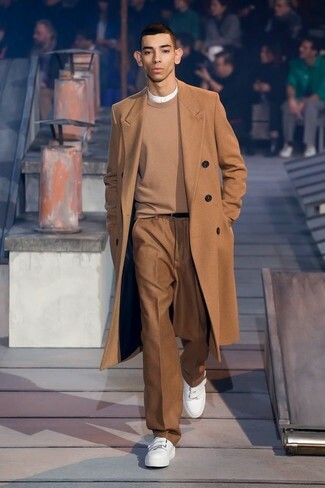 If you're in search of a casual yet sharp getup, wear a Nordstrom Signature darien solid cashmere overcoat with charcoal sweatpants. Both pieces are totally comfortable and will look great together. 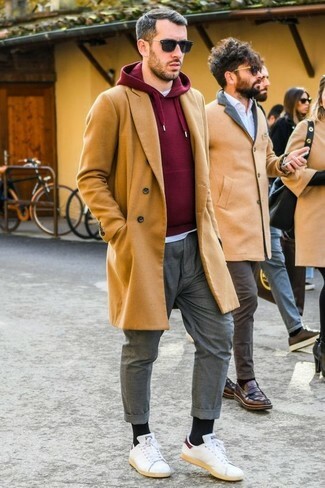 For something more on the daring side to round off this getup, go for a pair of white high top sneakers. 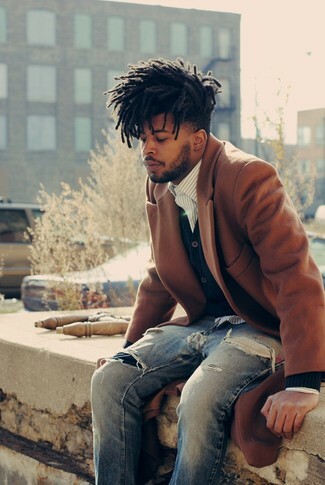 Team a camel overcoat with charcoal wool dress pants for a sharp classy look. White leather low top sneakers will add some edge to an otherwise classic look. 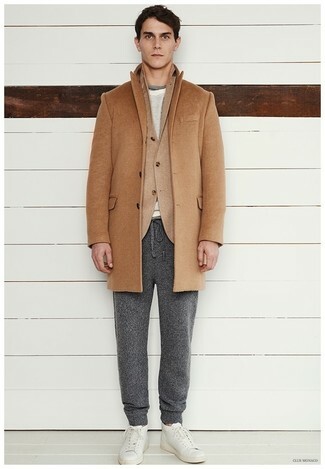 Wear a Nordstrom Signature darien solid cashmere overcoat from Nordstrom with charcoal dress pants like a true gent.